"Shock therapy is making a comeback today in the treatment of serious mental illness. Despite its reemergence as a safe and effective psychiatric tool, however, it continues to be shrouded by a longstanding negative public image, not least due to films such as the classic "One Flew over the Cuckoo's Nest", where the inmate of a psychiatric clinic (played by Jack Nicholson) is subjected to electroshock to curb his rebellious behavior. Beyond its vilification in popular culture, the stereotype of convulsive therapy as a dangerous and inhumane practice is fuelled by professional posturing and public misinformation. Electroconvulsive therapy, or ECT, has in the last thirty years been considered a method of last resort in the treatment of debilitating depression, suicidal ideation, and other forms of mental illness. Yet, ironically, its effectiveness in treating these patients would suggest it as a frontline therapy, bringing relief from acute symptoms and saving lives. 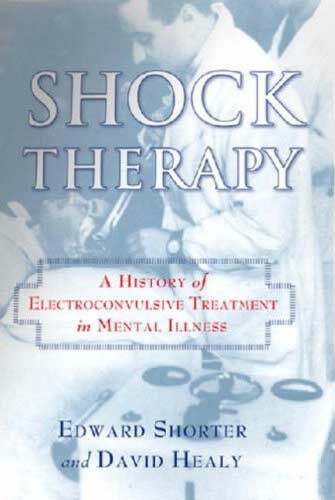 In this book, Edward Shorter and David Healy trace the controversial history of ECT and other "shock" therapies. Drawing on case studies, public debates, extensive interviews, and archival research, the authors expose the myths about ECT that have proliferated over the years. By showing ECT's often life-saving results, Shorter and Healy endorse a point of view that is hotly contested in professional circles and in public debates, but for the nearly half of all clinically depressed patients who do not respond to drugs this book brings much needed hope."